An economic report released last month by Downtown Evanston revealed that 19 new businesses have opened in the city since October. Evanston has attracted a steady flow of new businesses and kept vacancy rates low since last fall, according to a new economic report from the city. 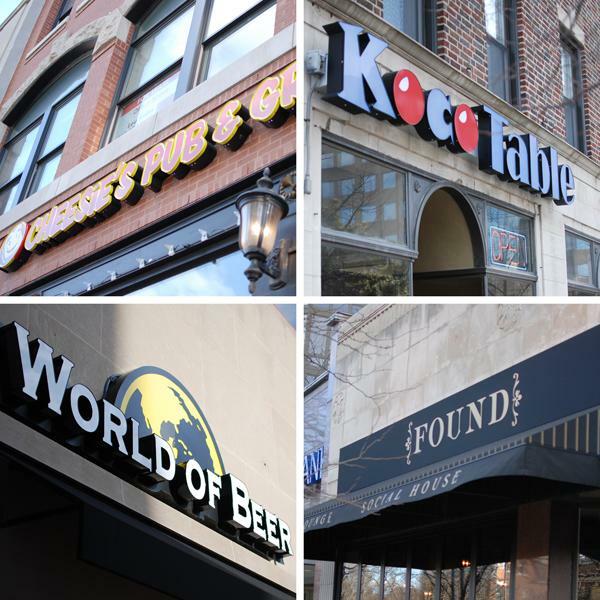 From October to March, 19 new business opened in the city’s 10 business districts, mostly downtown restaurants, according to the report. The new businesses hired 113 full-time employees. The report also found vacancy rates for commercial real estate have remained less than 10 percent since 2011, reaching 7 percent in the fourth quarter of the city’s last fiscal year. Amy Morton opened the restaurant Found, 1631 Chicago Ave., in November. So far, Morton has hired 41 employees, including Northwestern students. Morton said Evanston’s location close to Chicago attracts customers who live in surrounding suburbs. “(Evanston) is naturally a place people gravitate toward because people don’t always want to drive into the city,” she said. During the same period in the report, one business — Safari Natural Tea and Herbs, 1630 Orrington Ave. — closed, said Paul Zalmezak, a member of the city’s Economic Development Committee. The tea shop opened in October and shut down earlier this year. The city has worked with local real estate brokers to market vacant properties, Zalmezak said. The city staff also meets monthly with merchant association members to plan business strategies and inform them of the Evanston’s property development grant program, he said. “The best way to help is to really get to know the retailers and develop a relationship,” he said. Though the city has attracted new restaurants to business districts with relative ease, it lacks retail stores, which attract more customers, Zalmezak said. Retailers attracted five times more in investment compared to food services during the fourth quarter, according to the report. The city’s proximity to Lake Michigan and downtown Chicago make it a prime location for restaurant and tourism activities, said Gina Speckman, executive director of Chicago’s North Shore Convention and Visitor’s Bureau. However, there are some drawbacks when it comes to attracting retail companies. For example, national retailers have opted to operate in relatively central locations such as Old Orchard, Skokie and Lincolnwood Town Center without realizing customers such as Northwestern students tend to shop locally, Zalmezak said. Despite such drawbacks, the city is looking to attract smaller retailers, Zalmezak said. Andersonville Galleria, a Chicago shop that sells handmade goods, plans to open in April at 1627 Sherman Ave. The national retailer Trader Joe’s will open at 1211 Chicago Ave. this summer. Real estate broker Jim Nash of Farnsworth Hill Inc. said his firm recently leased out two properties, one to Andersonville Galleria and another to small retailer CloseKnit. City officials also met with brokers at the Celtic Knot pub in March to discuss listings on the market, Nash said. “It is a really transparent process that in turn flows back to the tenants,” he said.